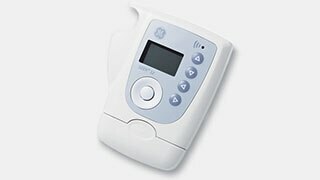 CardioDay Holter ECG delivers a powerful combination of clinical quality and workflow advantages you won’t find elsewhere. Every Day is a CardioDay. Managing Holter volume can be challenging for many ECG departments. Is there a way to maintain your high quality standards while still achieving high throughput, day in and day out? The answer is yes - with the latest generation of CardioDay® Holter ECG from GE Healthcare. 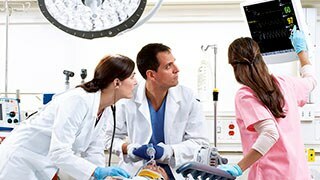 CardioDay delivers a powerful combination of clinical quality and workflow advantages you won't find elsewhere. CardioDay harnesses the speed and standardization of automation while still enabling technicians to control the fine points of study analysis. Data is presented graphically with a visual clarity that enables quick, intuitive operation. CardioDay Holter ECG provides guidance through the analysis process, enabling fast-turnaround and consistent results. Data is presented visually in graphs and charts that highlight relevant trends, critical events, artifacts, and other key insights so users can move quickly and confidently through each study. GE’s proprietary, clinically-proven algorithms have long been the clinicians’ choice for accuracy and consistency. CardioDay’s new functionality enhances analytical ease for critical sub-groups, including patients with atrial fibrillation (AFib), those at risk of sudden cardiac death, and patients with pacemakers. GE Healthcare has been setting the mark for clinical validity and excellence in ECG analysis since the 1980s. Today our suite of analysis programs are the preferred choice for clinicians and we continue to lead developments in computerized ECG analysis, setting even higher levels of clinical accuracy, validity, and performance—all available to you through CardioDay Holter ECG software. CardioDay is the only Holter ECG system compatible with GE Holter recorders, bedside monitors, telemetry, and MUSE™ systems – delivering a streamlined end-to-end workflow solution that helps save time and reduce errors. An integrated cardiac care continuum is critical for efficient, high quality care delivery. CardioDay supports that ecosystem as the only Holter ECG system that optimizes your process – from orders to final report storage — by fully integrating with MUSE, GE Holter recorders, and GE bedside monitors and telemetry. CardioDay is now optimized for IT connectivity with functionality that enables easy, secure integration with facility systems and networks. Privacy, security, and reliability are key concerns for IT departments in healthcare organizations. CardioDay is designed to integrate seamlessly with existing systems and IT infrastructure, require minimal maintenance, and meet stringent IT security and compliance standards. GE Healthcare provides medical technologies that are shaping innovations in patient care. Our expertise in medical imaging and information technologies, medical diagnostics, patient monitoring systems, drug discovery and biopharmaceutical manufacturing technologies is helping physicians develop new ways to predict, diagnose, inform and treat disease. Today, GE Healthcare is integrating patient monitors, innovative parameters, wireless devices, workflows and integrated IT solutions to create a fluent system of clinical intelligence. This category of solutions is called Clinical Information Logistics* and it&apos;s helping caregivers make informed choices in the care of patients world-wide. Get the high-quality data acquisition you need. Give patients the freedom and comfort they deserve. Helps improve the overall cardiovascular care process — for cardiologists, IT administrators, and patients.